Sea scallops are one of my favorite foods. This quick and easy preparation makes them shine: they are pan-fried and then finished with a sauce of white wine, lemon, capers, and anchovies. 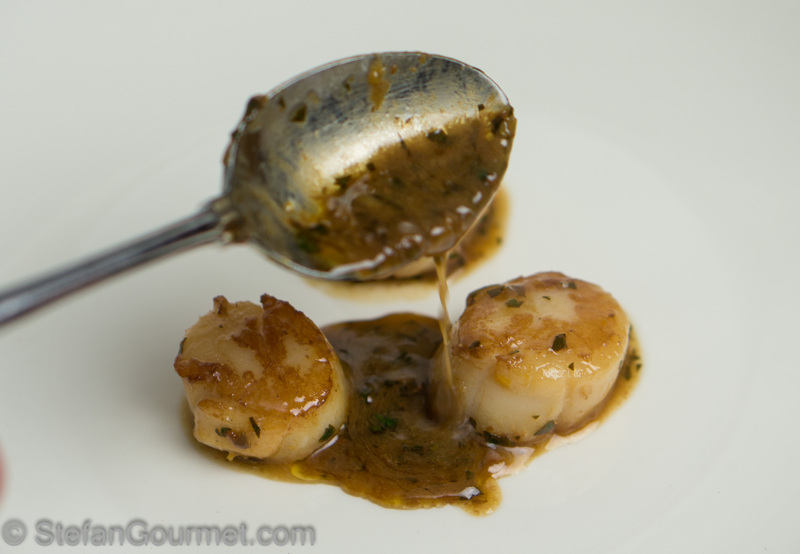 The sauce is pretty hefty, but the scallops can handle it. 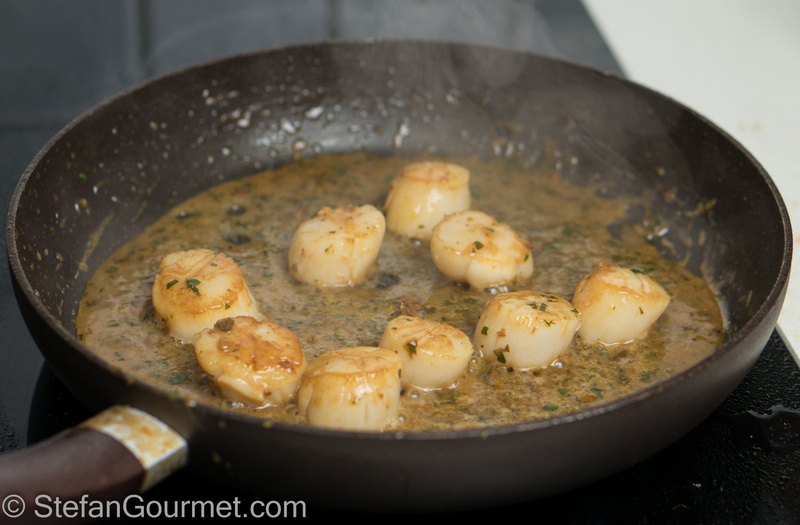 As usual with dishes like this, for best results it is important to use high quality ingredients and to never over-cook the scallops. 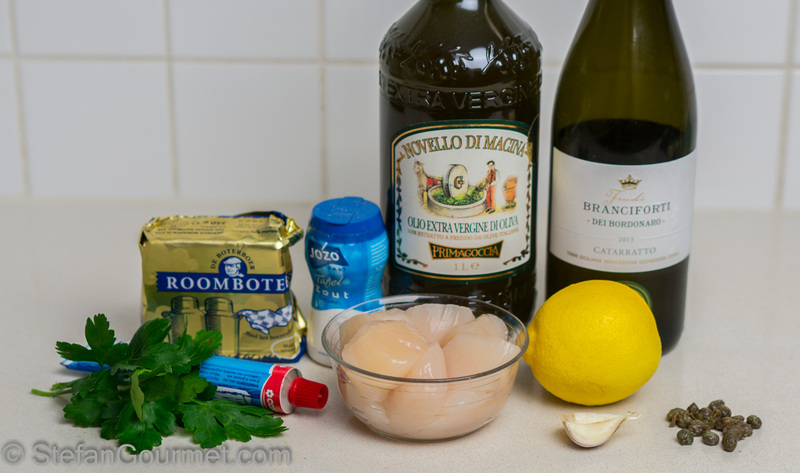 Click here to find out how to shop for scallops. This is another recipe by Biba Caggiano, but it is also an Italian classic. 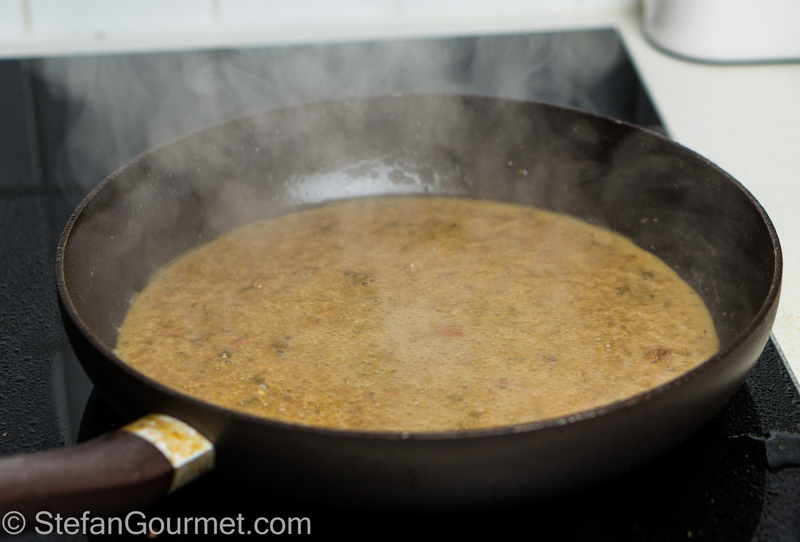 A similar sauce can also be used for chicken or veal cutlets. Here is my version of this dish. I prefer to use salted capers and mince them. 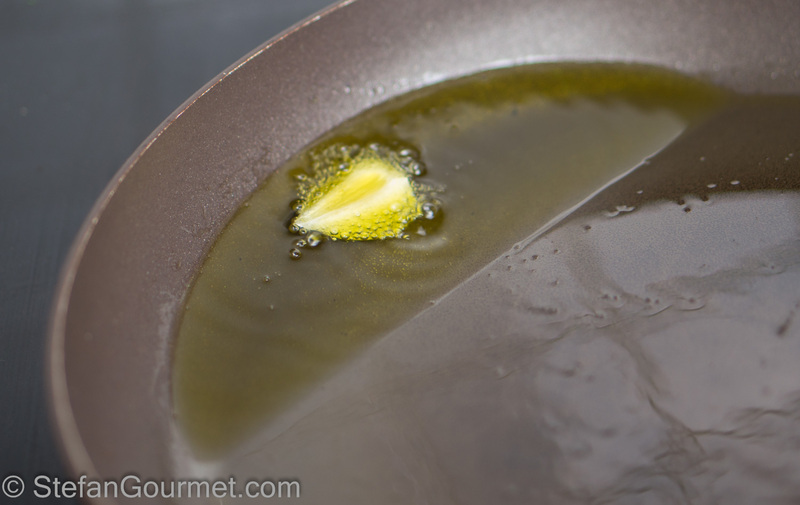 Heat the olive oil in a non-stick frying pan. 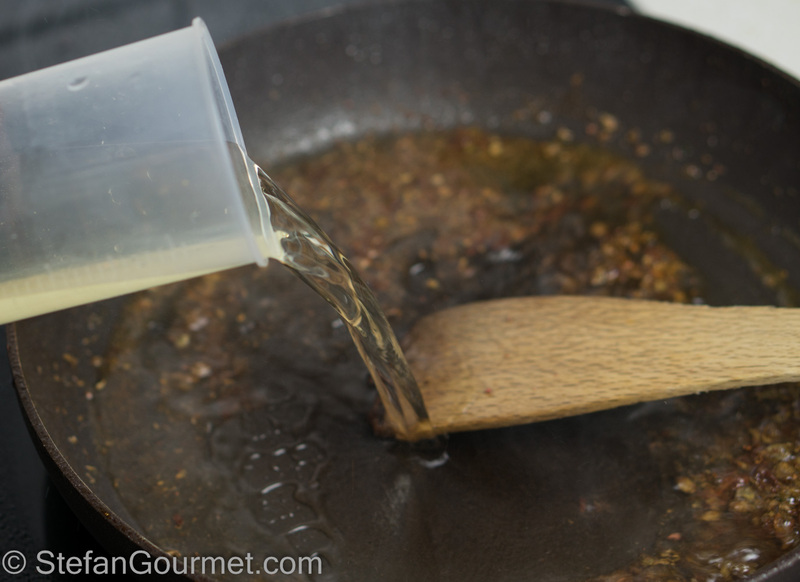 Add the garlic clove and tilt the pan to infuse the oil with just a whiff of garlic. 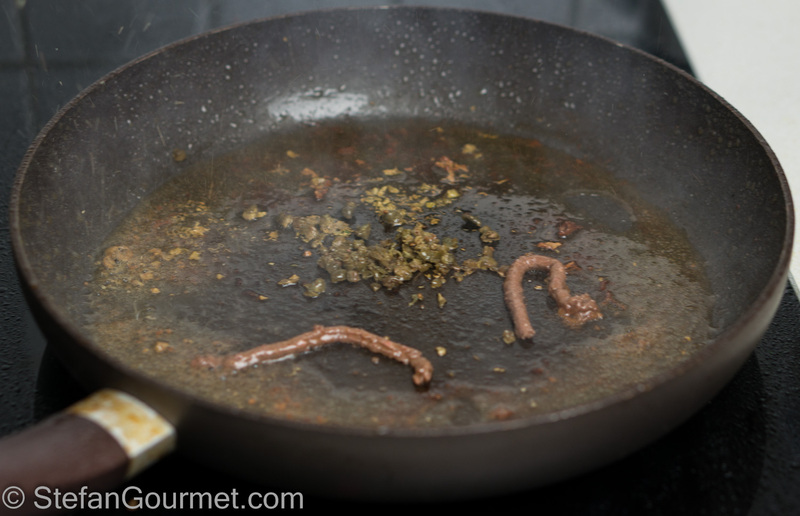 Discard the garlic once it’s golden. Put the frying pan on high heat. Add the scallops, and brown them on both sides, about 2 minutes per side. 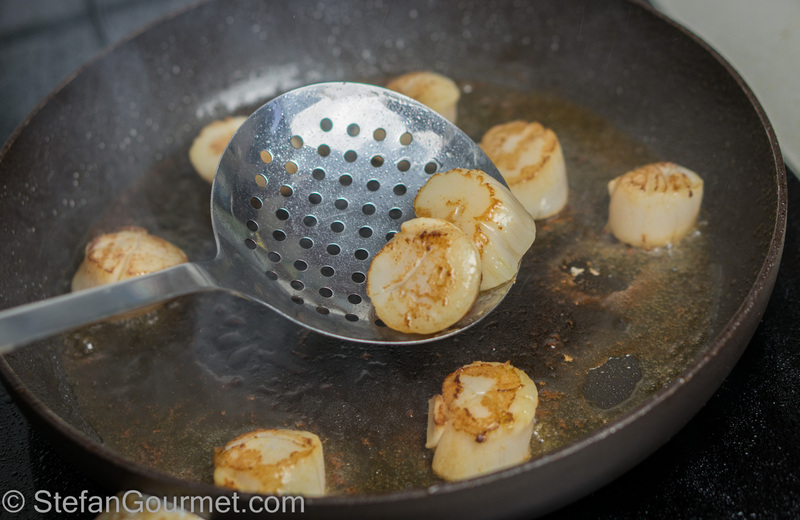 Turn off the heat and transfer the scallops to a plate with a slotted spoon, and season them with salt. 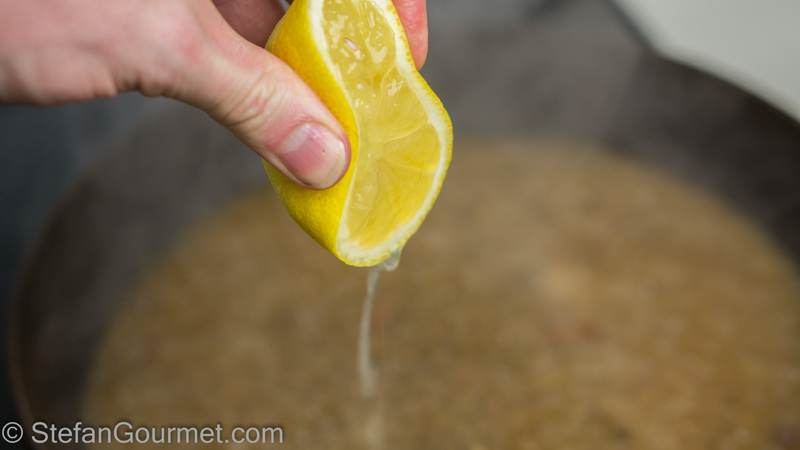 …and stir for a minute. 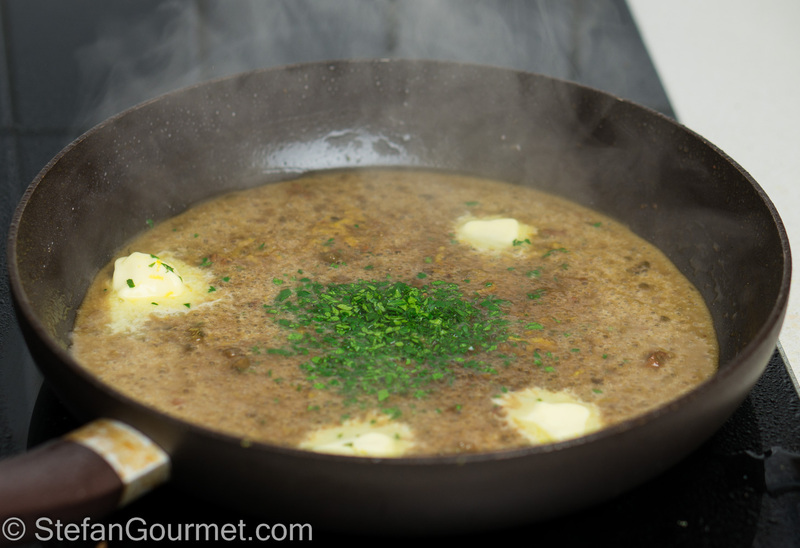 Reduce over medium high heat until the sauce has thickened. 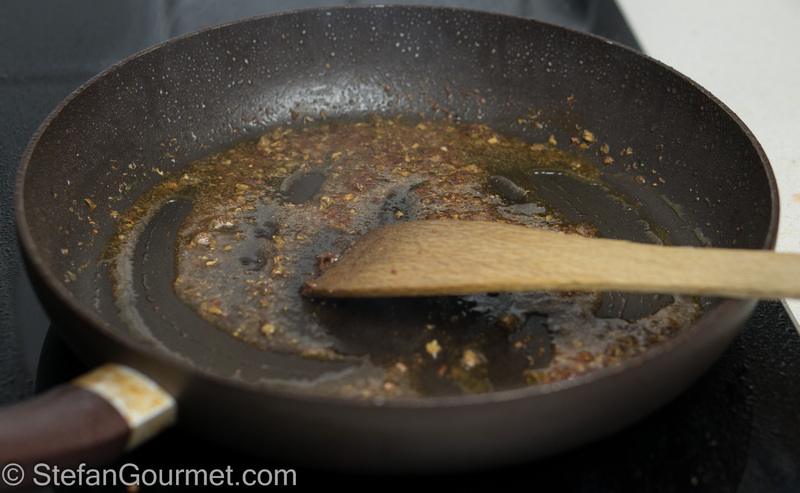 Add the parsley, lemon zest, and butter, and stir for a minute. 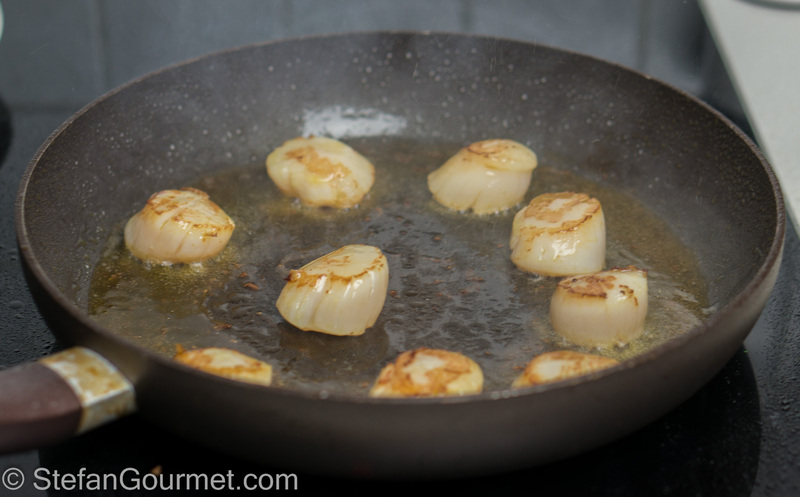 Return the scallops to the pan, including any juices that leaked from them. Stir just long enough to coat them with the sauce. Turn off the heat. Taste and adjust the seasoning. 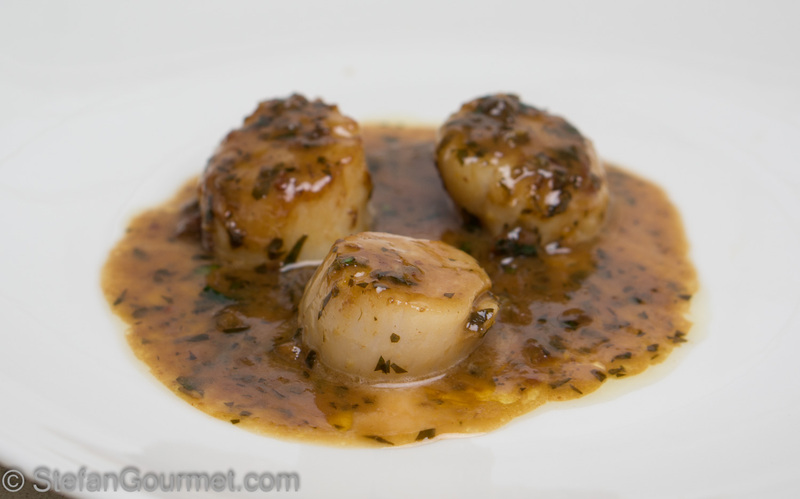 Arrange the scallops on preheated plates, and drizzle with the sauce. Serve at once, as is or with good crusty bread or fried polenta. These blueberry muffins are very simple to bake: mix dry ingredients, mix wet ingredients, combine, fold in blueberries, and bake. They are very tasty and perfect for breakfast or tea. Adoro le capesante. Quest’anno non le ho cucinate spesso come l’anno scorso. Devo rimediare e magari comincio con questa tua splendida ricetta, semplice e molto saporita. Wonderful !! This looks so special but it’s so easy to make – Bravo Stefan ! !